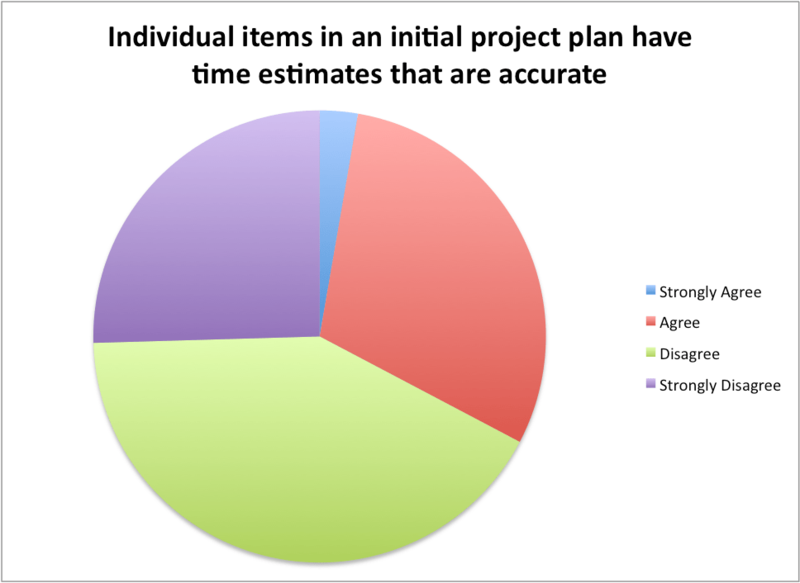 Planning to Fail: Is Estimating Really This Difficult? Estimating effort is something we collectively struggle with in hardware development considering building the project plan is an exercise that everyone is involved in. 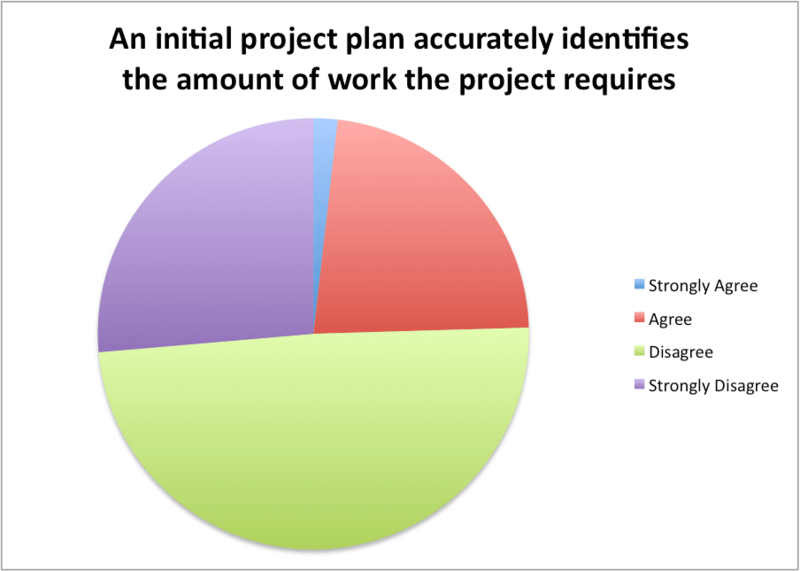 Here’s the next few data points from our project planning survey that may have you wondering why we’re so wrong when it comes to estimating and project planning. 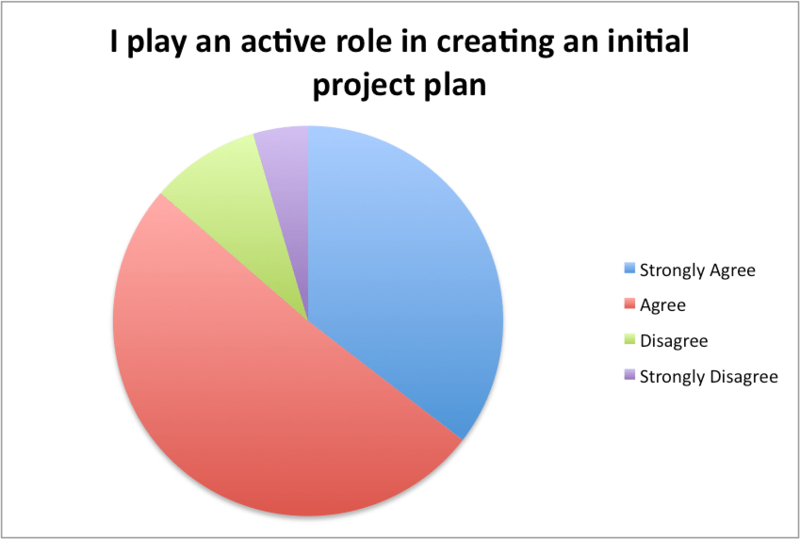 More than 85% of those surveyed said they played an active roll in project planning. Encouraging. It is very clear that hardware and embedded software developers are not good at estimating effort; not for individual items in the plan, not for the work required as individuals, not for the work required for the project as a whole. We do a poor job of all of the above. 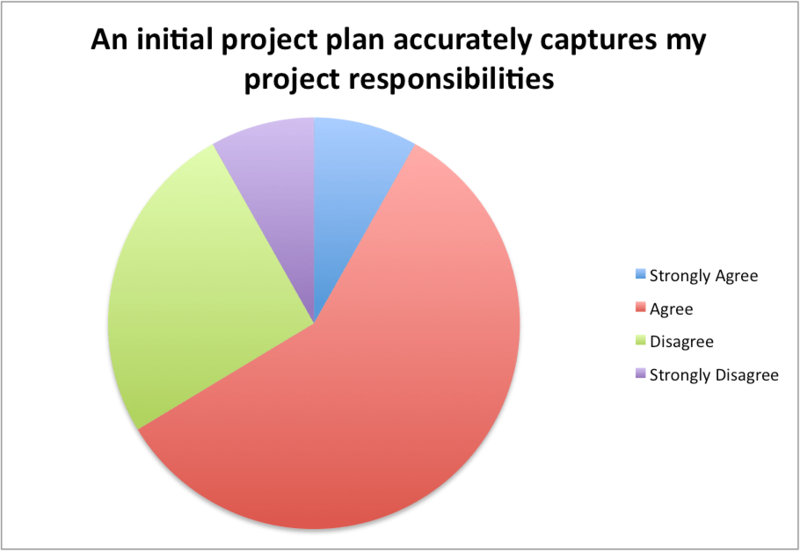 Not only are we poor estimators… which by itself puts us behind the 8-ball from the very beginning… we’re also burdened by tasks that don’t show up on the project plan. 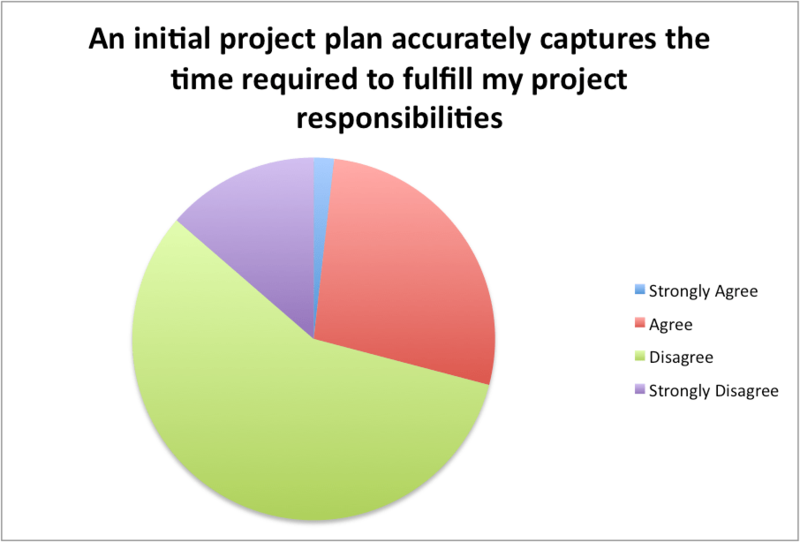 Seems project planning is an exercise we’re all involved in. This is a good sign. The results of our collective effort though are less than impressive. Q. Your turn. 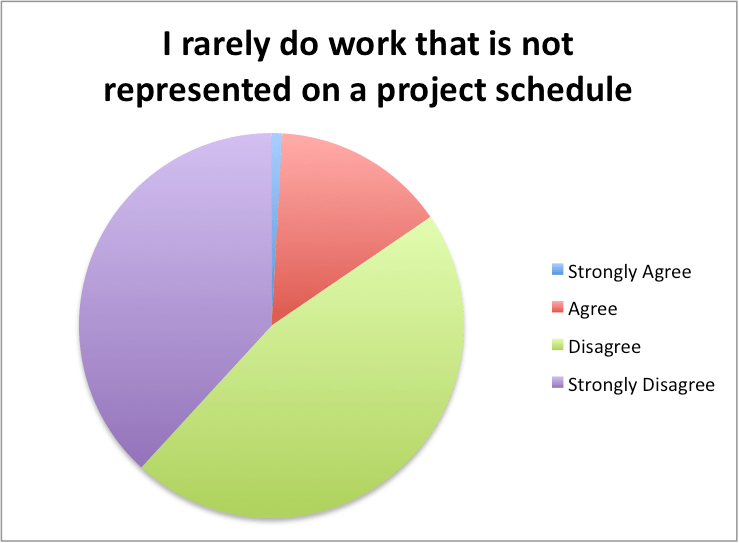 What do these data tell you about our project planning practices? Why are we way off when it comes to estimating effort? This entry was posted in Planning and tagged project planning survey. Bookmark the permalink. Engineers sandbag their schedules. Our frustration comes from us trying to write a schedule for perfection and we never tape out perfection. The gap between a plan and reality is part new features and part cutting corners. Most engineers are frustrated because they want time for perfection (smallest, lowest power, highest performing, elegant code, fully verified system model, fully verified rtl, fully verified gates). This never happens. When it does you miss your market. I’ve seen more projects fail because they were over designed than I have because too many corners were cut. It’s funny to watch schedules get proposed and someone says something will take 9 months and 7 full time engineers and you look at past data and they did a similar task in 5 months with 4 people at 75% workload. It’s funny for a group of people who love numbers, we engineers fail to look at the past to predict the future. Engineering is actually very predictable. We just don’t like those predictions because we know the past wasn’t perfect and we don’t want to write a project plan up like last time, even though that’s what will happen. I really like that comment! It’s so satisfying to be able to use stats to support your position… and at the same time so easy to ignore them when they don’t :).